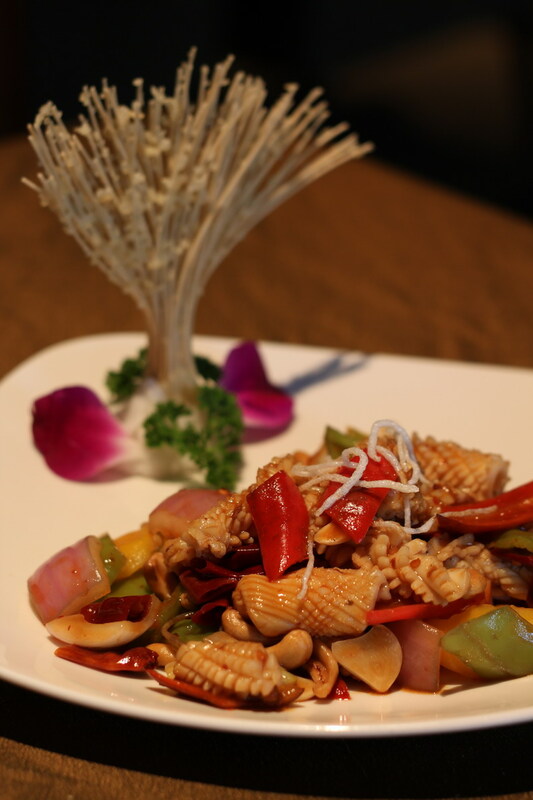 China Harvest offers a variety of different styles of Chinese food, specializing in Cantonese and local Hainan, prepared by their celebrated chef from Hong Kong. 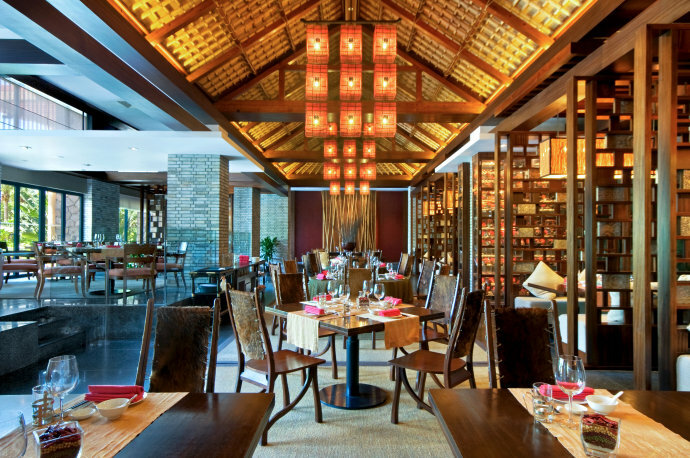 The ambiance is pleasant, with dark earthy tones balanced by good lighting provided by a ceiling of red lanterns. 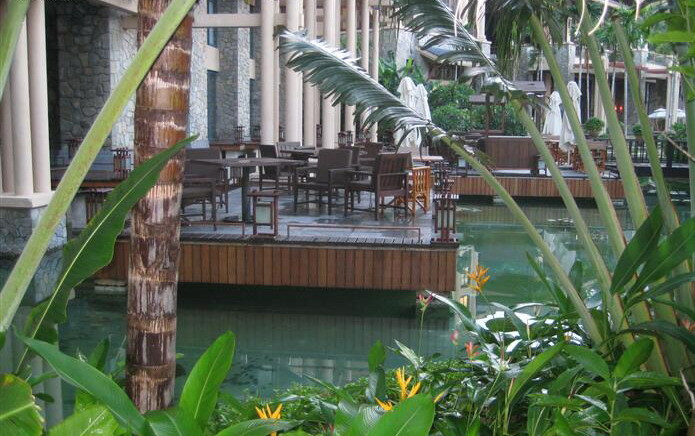 There are many tables big enough for banquets along with small booths for private dinners. 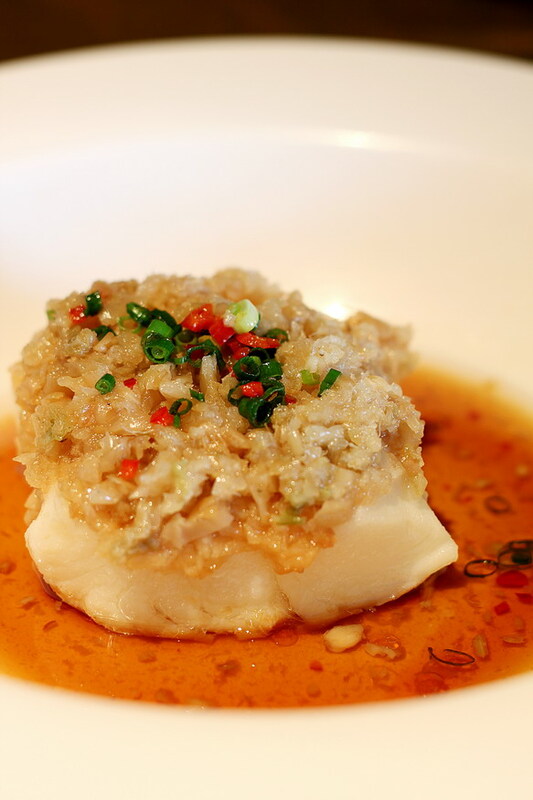 Try some of the local favorites such as lemon fish with beer and chili or baked mango conch with ginger and garlic. 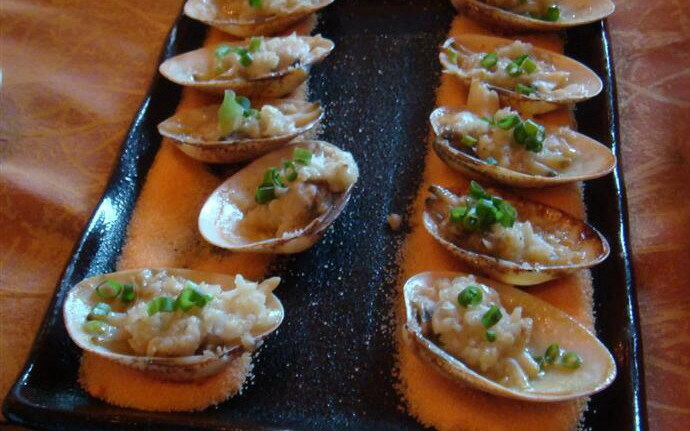 The restaurant also offers a wide selection of vegetarian dishes.